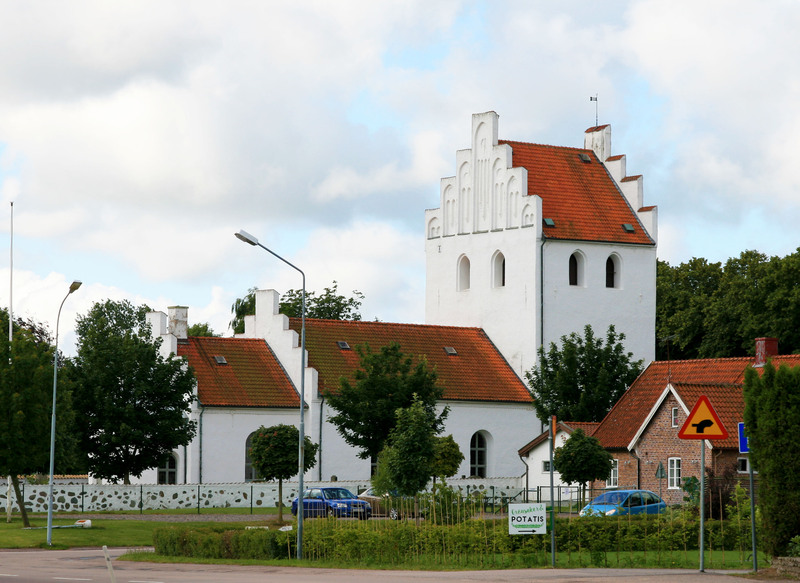 This church is one of three in the Farhult-Jonstorp assembly. Built of granite in Romanesque style, it was built sometime between the 1100 – 1200’s. It is dedicated to Norways’ national saint, St. Olof. The only original portions of the first construction remains in west and south of the building. The choir’s stellar vault and tower were added in the 1400’s. In the choir’s vault are paintings added sometime during the medieval period.